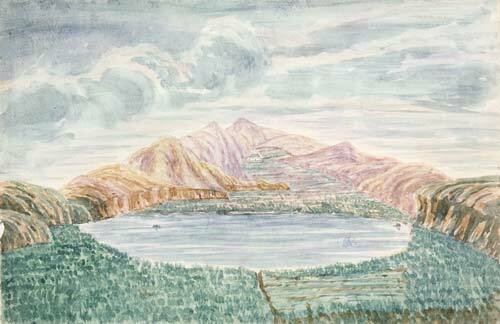 This painting by James Crawford shows Para lagoon (Burnham Water), on the Miramar Peninsula in Wellington in the 1840s. Māori stored eels in the lagoon, which was not connected to the sea. It was later drained to provide land for farming.